BRONX, NY -- One of the two NYPD sergeants wounded in a police-involved shooting in the Bronx has died, sources confirmed Friday. 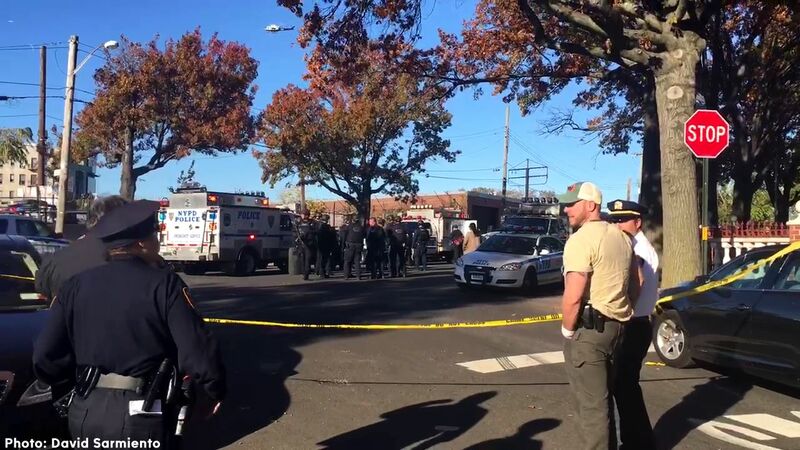 The incident happened on Noble Avenue at Bronx River Avenue in the Van Nest section. The sergeant who died was reportedly shot point blank as he approached the suspect, who was killed in the gun battle. The victims were rushed to Jacobi Medical Center, where the sergeant was pronounced dead. The second sergeant is not believed to have life-threatening injuries. Authorities say a home invasion was reported about four blocks from the shooting scene, and officers assigned to the 43rd Precinct responded. The suspect had reportedly already left the home when police encountered him and attempted to make the traffic stop. 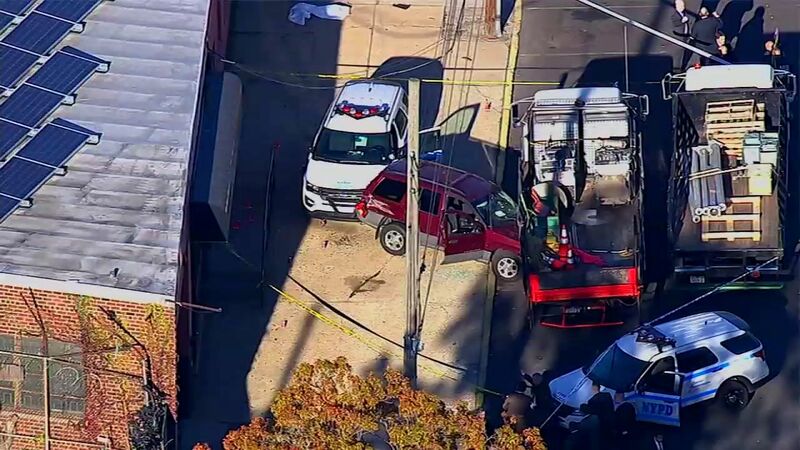 There was some sort of accident involved, with the police vehicle on the sidewalk and what appears to be the suspect's vehicle crashed into some construction equipment. The circumstances of the actual shooting are unknown. The NYPD has recovered video surveillance from the shooting location that is said to have captured the entire incident. Police say the suspect has a connection to a woman who lives at the robbery house, and that he was harassing and possibly attempting to rob her. Mayor Bill de Blasio, NYPD Commissioner James O'Neill and other city officials are at the hospital. "Every day, the brave men and women of law enforcement selflessly serve our communities to keep the rest of us safe. Today, a sergeant in the New York City Police Department has made the ultimate sacrifice in the line of duty, and another officer is undergoing treatment. My deepest sympathies are with the families of the officers involved in today's tragedy in the Bronx, and with Commissioner O'Neill and the NYPD as they cope with the loss of one of their own."